The Post Office is to launch a broadband service specifically aimed at those who prefer to pay by cash. Users will have the option to pay for the service in cash at any of the 14,000 Post Offices across the UK. The packages, offering broadband up to 8Mbps, launch next Monday. Although it might seem a mite silly, the PO says it wants to target the older generation who don't like to pay by card or direct debit, as well as those who can't afford to have regular monthly outgoings. "Until now, some significant groups in society have missed out on all the internet has to offer purely because broadband is perceived as a complicated luxury," says Alan Cook, managing director of the Post Office. "We are now able to open up a new range of products and services to these groups with a better, fairer and easier to use broadband service that reflects the trust that older customers, in particular, have in the 'People's Post Office'. A sick-inducingly trite comment perhaps, but at least the PO has found a niche to camp its broadband service in. At the very least, this cash-in-hand option stands out in an ever-growing sea of broadband look-a-likes. The PO has done its research, too, saying that it is targeting the 'NETSKI' generation of 50-65 year olds with a high disposable income who are going online for the first time. It reckons this market could be worth as much as £478 million as the average age of the UK population gets older. 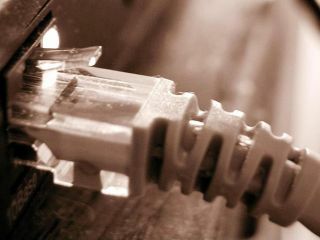 Ofcom has predicted that broadband uptake is set to rise by up to 80 per cent by 2021.